It seems like only yesterday that I was at this meeting last year. Time really does fly when you’re enjoying yourself! 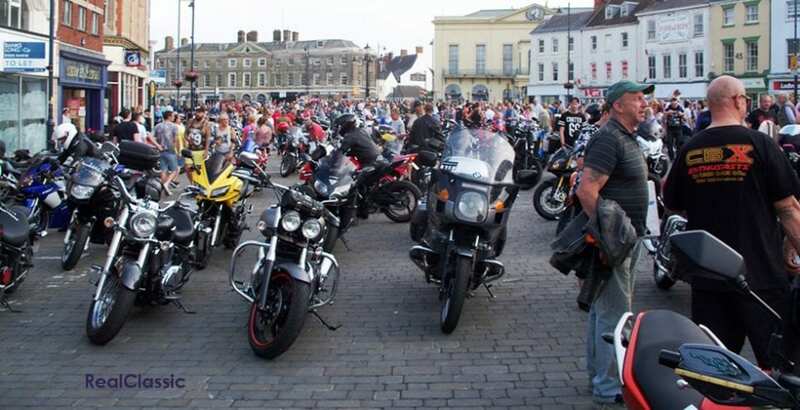 This meeting at Boston is the largest motorcycle event in south Lincolnshire. The show has grown and grown and it now covers the whole of the town centre. 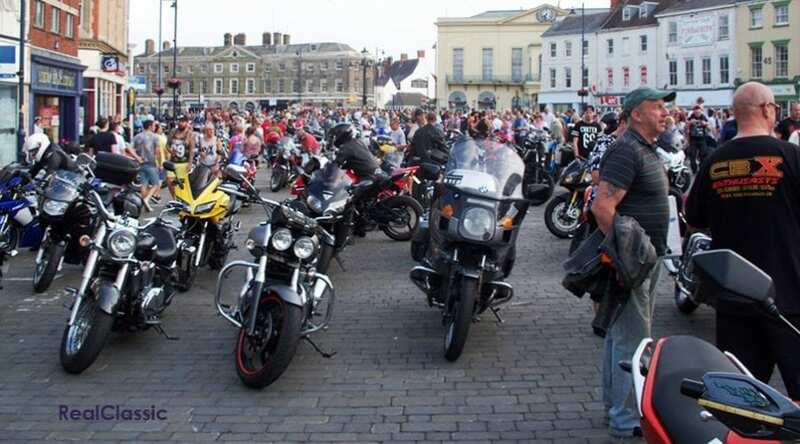 Last year, it was felt that 2500-plus bikes and several thousand visitors were in the town during the evening at any one time. The organisers must be equally amazed that this was their 21st annual event. Several local companies helped out with the show to make this one that little bit more special. One firm sponsored a special bandstand for this special occasion – normally the regular band, ‘Autumn Storm’, play from the back of a lorry trailer. 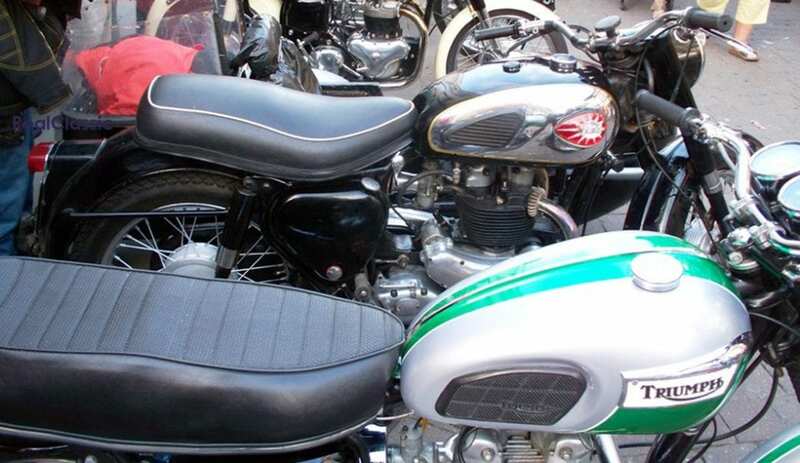 The weather forecast promised some heavy showers so I was thinking either two or three wheels – which one to take? I choose the scooter as the town can get very crowded and getting the outfit out from its parking place can become a work of art. I arrived in Boston just after 5pm and parked up by Boston Church. This is commonly known as ‘The Stump’ as it doesn’t have a spire, and is at the top end of the town. 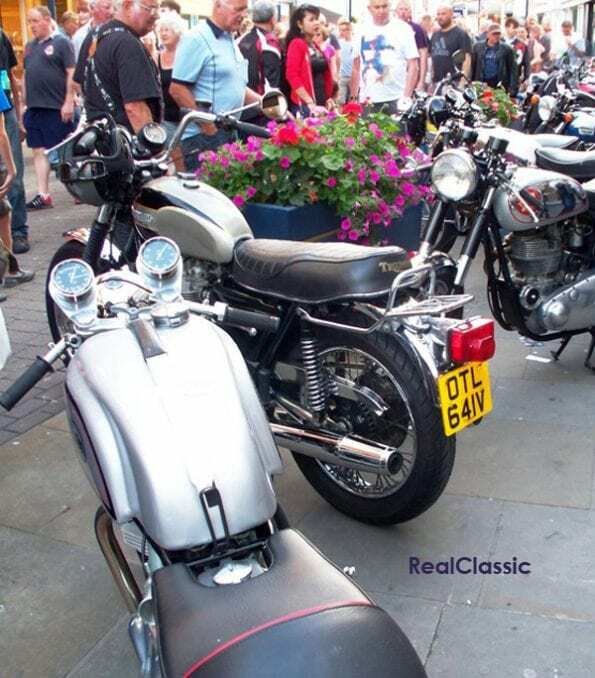 Walking through the shopping precinct, you eventually come to the centre of the rally, where the bandstand, manufacturers and retail stands are located. The band, about seven strong, belted out the music and the lead singer was very good. Speaking to a steward, I was told that they had organised the bikes to be grouped together in categories; classic, custom, etc. 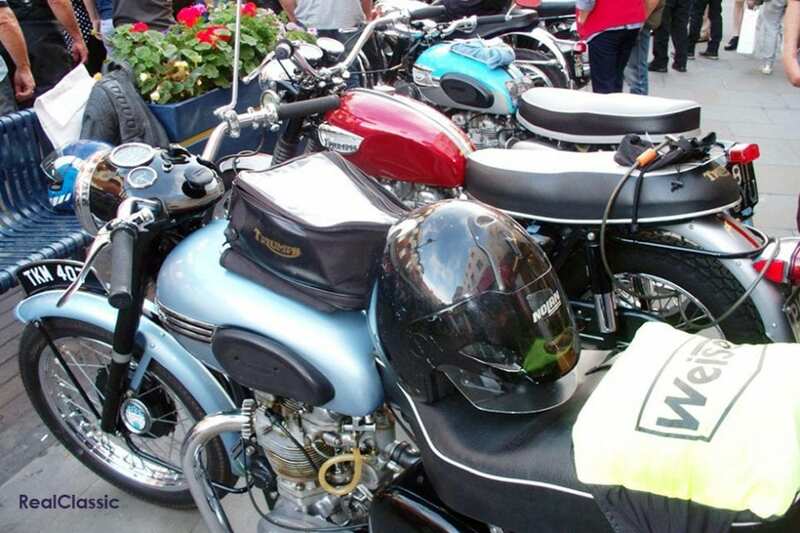 Awards were given out, but there was a stipulation that the award-winning bikes had to have been ridden to the show. 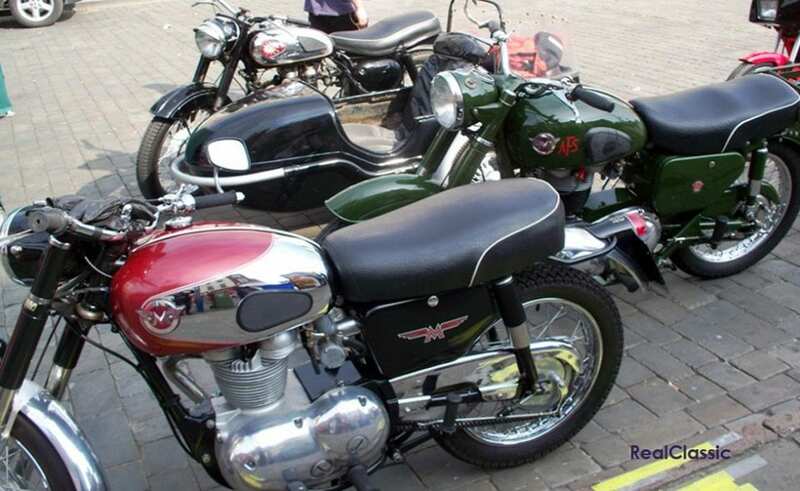 I got talking to the owner of a BSA M20 model in military colours. 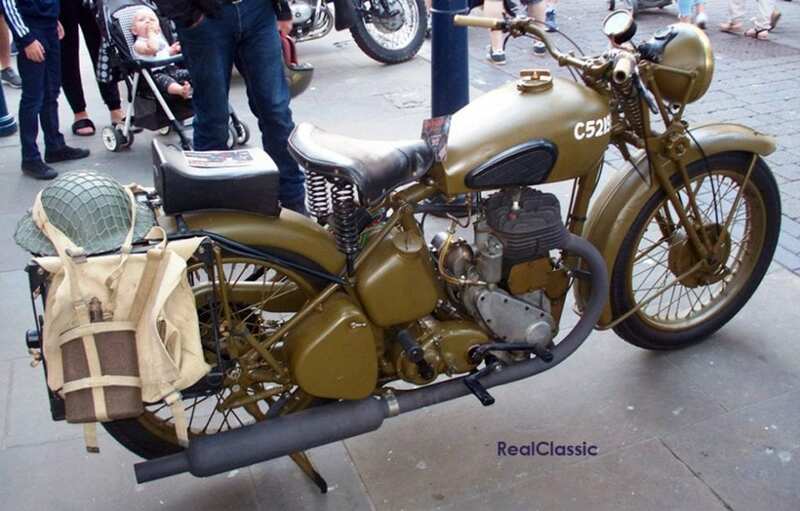 The bike was made in 1943 and had seen war service. It was demobbed in 1948 and is still in nice condition, even with a few dents; ‘war wounds’! The owner was hoping to find out more of the machine’s military history. With the volume of machines arriving, Boston central park was used as an overflow car park. The stewards worked hard at controlling the bikes moving through the town. With a large show like this you get amazing variety of machinery – all sizes and ages of machine, something for everyone to look at. 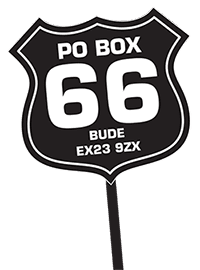 This is great for riders and motorcycle fans, but it means BBN has also become a family night out. There were plenty of catering outlets, again including the Red Bus which seems to be very popular at these occasions. For the shops in the town this night must bring in a lot of business. This fish and chip shop near the church always has a queue. Riders steadily poured in throughout the evening. I pulled out a little after 8pm, as more bikes were still coming to the show. The show itself goes on very late. Yellow lines painted on the roads do not count on this night, and even the large council car park is closed to the general public in the afternoon to allow the traders, etc, to set up their stands. I was lucky as the weather held fine while I was there and on my way home. However, within half an hour of putting the scooter back in the garage the heavens opened and we had torrential rain with thunder and lightning well into the night! 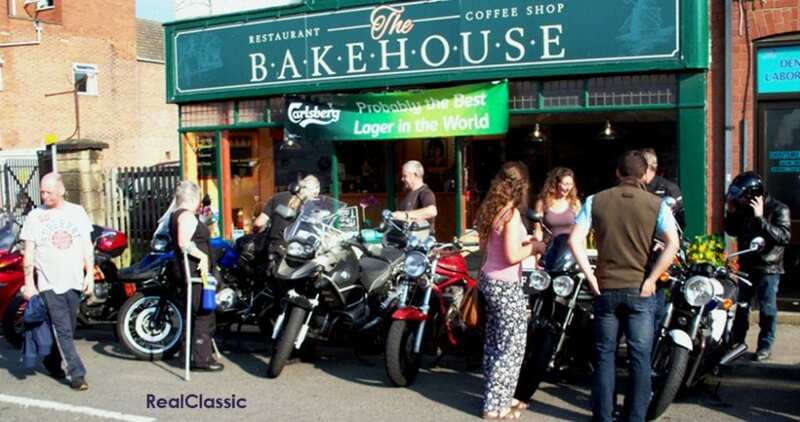 The Boston Bike Night committee puts the event on for fun and they make an excellent job of it. Well done to them and all the volunteers who help to keep the show going. If you fancy a ride here the show takes place on the first Thursday in July.